Andy Street, Mayor of the West Midlands Combined Authority (WMCA), has welcomed the launch of a new campaign, backed by University of Warwick-based Minerva Business Angel Network, to encourage local entrepreneurs and investors to support the region’s start-up companies and to encourage local participation in the financial support structure for business. Speaking at the launch event, held this week at the University of Warwick and also attended by Warwick Vice-Chancellor Professor Stuart Croft, the Mayor highlighted the importance of innovation within the region, thanked the Angel investors present for their contribution to supporting local entrepreneurs, and encouraged more investors to get involved. Professor Stuart Croft, Vice-Chancellor of the University of Warwick, also welcomed the joint campaign, saying “this collaboration is critically important” to the University’s vision of playing a key role in an entrepreneurial region where spin-offs and start-ups are encouraged to thrive. Mr Street said: “Entrepreneurial activity has got to be key to our future growth and success. And that’s why I have come to support Minerva, because it is critical for the region. 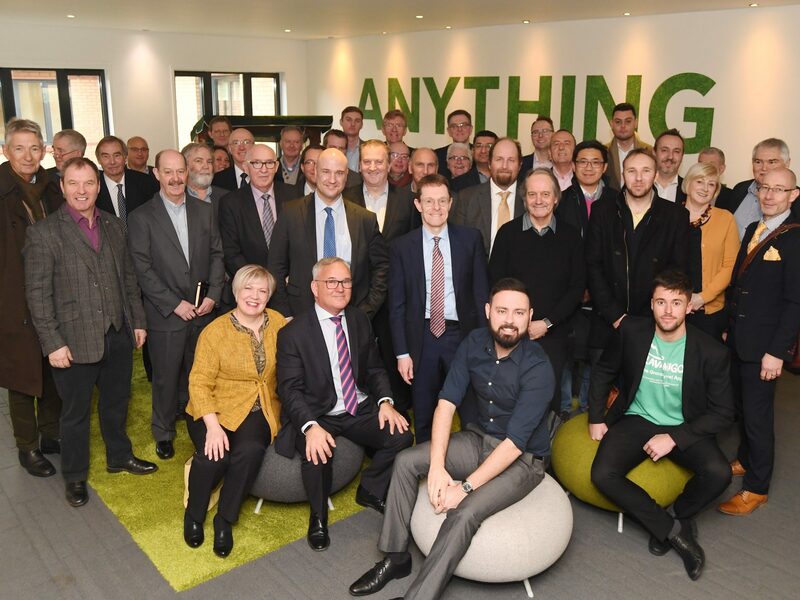 While a total of £1.8bn was invested in 2017 through the Enterprise Investment Scheme, which provides individuals with tax incentives to invest in start-ups and growth-orientated companies, just 2.6% of this sum was invested in the West Midlands. The new partnership between Minerva Business Angel Network and WMCA aims to halt the flight of capital and expertise to London and the South by encouraging new investors to join the Minerva network. The event was sponsored by the University of Warwick Science Park and Warwick Ventures which support start-up growth and spin-out companies based on the University of Warwick’s world-class research.